What are your monthly living expenses vs. income? 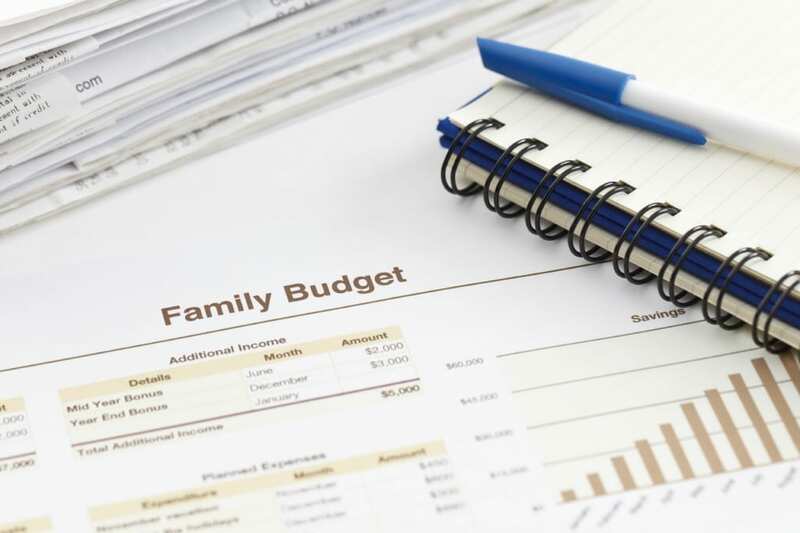 Are you or your family members spending too much money on unnecessary expenses? What are the interest rates of your debts? These questions need answering before you can move forward to the next step of cleaning up and reorganizing your finances. A good rule of thumb is to keep a running list of your bills, including amounts and due dates, and update it monthly, or even every weekend. That way you can see where your money is going and compare it to how much money you have coming in. Many people, when feeling overwhelmed with debt, stop looking closely at money coming in and going out. They may even stop opening mail or answering the phone due to fear of creditors. Start to take back your financial life by breaking this cycle and getting organized, as painful as it may be in the beginning. Once you have a written budget and a plan for your financial future, the next step is to review your budget to determine what expenses could be reduced. Eliminate any unnecessary expenses, if you have not done so already. Short-term sacrifice in spending will assist your budget in the long term. If your credit is good enough to refinance your mortgage or obtain lower interest rates on credit cards, making those changes could add up to significant monthly savings. Look into consolidating your student loans and/or applying for an income-based repayment plan. In many cases, it can be difficult to find a way to make more money if you and your spouse are already working full time, particularly if you have children. However, there are options for increasing your income even if you are a full-time employee with a busy home life. Obviously, one option is to pursue a raise or promotion at your current job, if possible. Another option is to apply for a part-time job if you can find one that you are qualified for and that fits your schedule. In addition, there are several ways to make money with side gigs and odd jobs, such as selling items on Craigslist, becoming an eBay seller, advertising for odd jobs or handyman work, or driving for a ridesharing service. If you have an extra guest room in your house, consider renting it out. Having a realistic end date for when you believe you will no longer have to live paycheck to paycheck, whether it is six months or three years away, is huge. Even if relief will not be immediate, just knowing that you are working on your financial struggles can help drive you to see your financial plan for your future through to a successful conclusion. It could be as simple as making a list of goals, such as paying down several debts, including the house mortgage, credit card debt, your car, student loans or hospital bills, or funding a retirement or investment account to save for your future. If your company offers matching contributions to retirement accounts, take advantage of that as much as possible. Although it might be hard to put money away for the future that you need now, a company that offers to match contributions is giving away free money, so do not pass that up. If you are reading this and believe you have already tried these tips and are still drowning in debt, another option to consider is bankruptcy. In many cases, you can get rid of unsecured debt, such as credit cards and medical bills completely. This will offer you some immediate and long-term relief, as well as setting you up to improve your credit in the future over time. To learn more about how filing Chapter 7 or Chapter 13 bankruptcy can help you regain control of your financial future—including avoiding foreclosure and keeping your house and car—get in touch with a Kansas City bankruptcy lawyer at The Sader Law Firm today. We represent individuals and businesses in both Missouri and Kansas, and we offer free telephone consultations to review your situation and options. ← Can Setting Up a Health Savings Account Prevent Medical Debt?